DataHelp MBOX to PST converter is the best tool to perform conversion of multiple MBOX files into a single PST file. 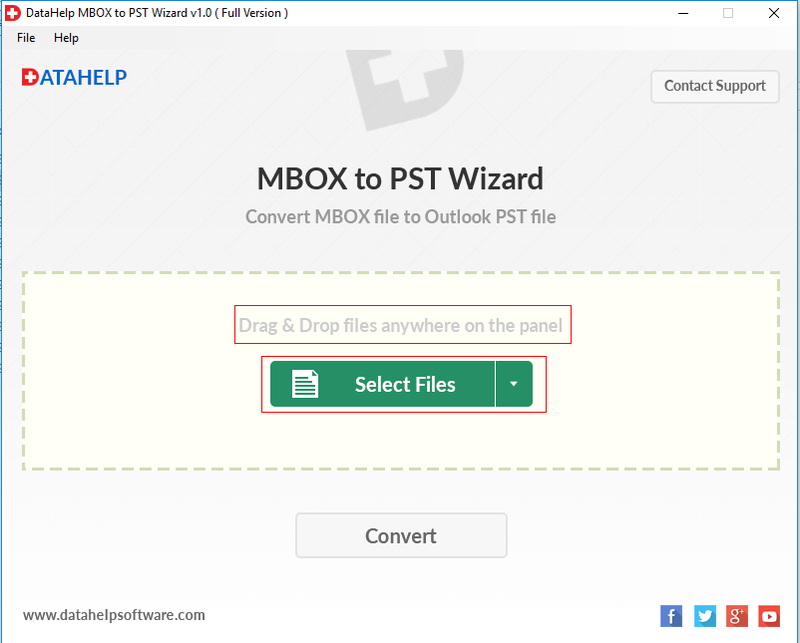 This software support MBOX files of 21+ email clients & convert their entire data (emails, attachments, etc) into Outlook importable PST file. MBOX to PST tool effective & easy-to-use, with the help of this software you can convert unlimited MBOX files into PST format without any data loss. Software support bulk & selective conversion of MBOX files, for this tool provides multiple options to select MBOX file from the local machine. The converter will maintain the integrity of MBOX data & preserve into PST file extension. This software originally designed to convert MBOX to PST, so with this software you perform bulk MBOX conversion without data loss. Download Free demo edition of MBOX to PST converter software to check whole working procedure. The software is Windows compatible so you can run this tool Windows 10 & lower editions to convert MBOX to PST.